The long winter season is rapidly approaching. Snow, sleet, ice, salt, and sand can have damaging effects on flooring, as well as increase the likelihood of injuries from slips and falls. Flooring is one of your biggest expenses, so make winter soil prevention a top priority. 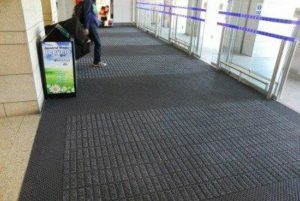 Combatting the damage begins with protective walk-off mats. Aim for 30 feet of mat strategically placed at all entrances and exits. 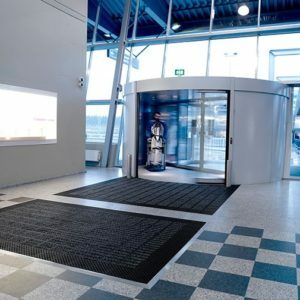 A combination of scraper and extraction mats helps capture up to 80 percent of the salt and moisture that gets dragged inside, reducing long-term care costs. 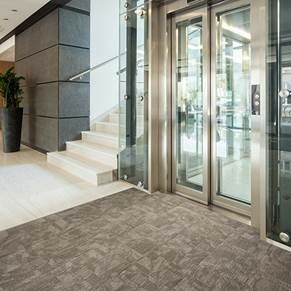 Whether you have carpet or hard surface flooring, cleaning and maintaining your office’s flooring on a regular basis is crucial to help extract embedded soils and protect your surfaces. This need increases in the winter months, when harsh New England winters can wreak havoc on your facility. With a regular maintenance program, particularly in your high traffic areas, your flooring will provide many years of superior performance and satisfaction.